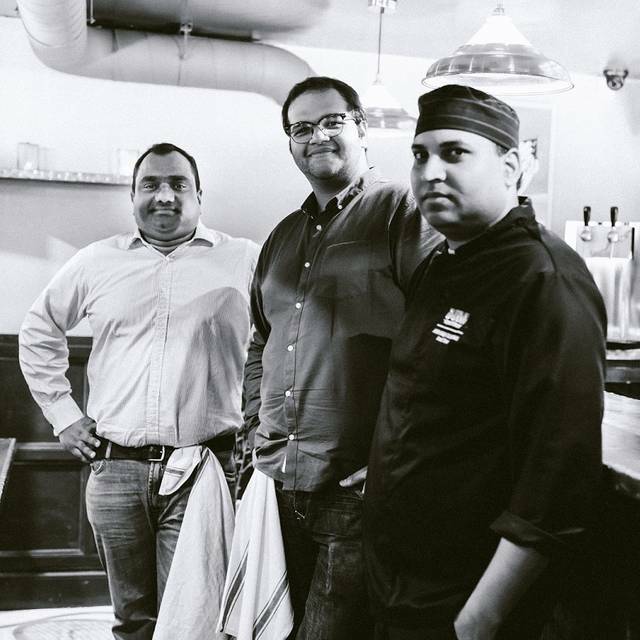 Casual Indian restaurant in Soho serving Hyderabadi Biryani and starters from Andhra Pradesh. Drinks include spice infused cocktails, classic Indian soft drinks and a short selection of wines and beers. Great food, and very good for special dietary requirements. My 3rd time coming here and everyone I bring always says this is the best biryani they have had. They all surprised by the way it is presented in the puff pastry too. Delicious food and drink and we had a great time. 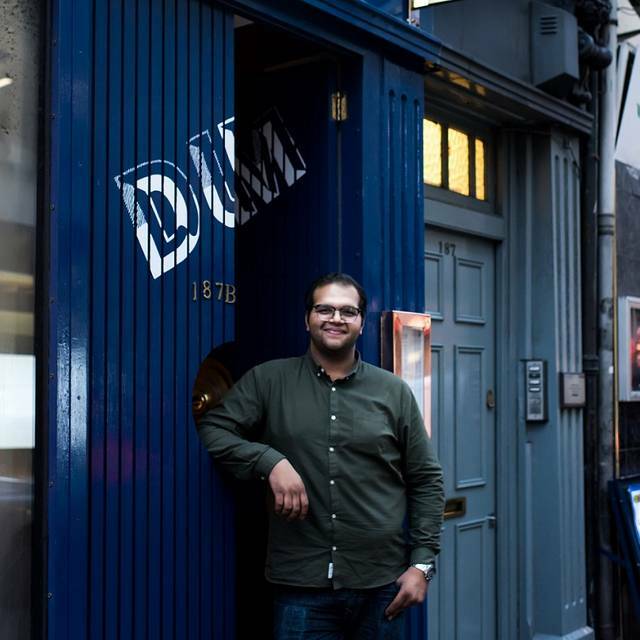 Booked a birthday meal at Dum for 7. Had a little private alcove which was nice. Food was tasty enough but the sharing biryanis weren’t as substantial as expected. Tasty enough though and it’s a curry with a pasty top so you can’t go wrong really! Without a wink of doubt, I will recommend this joint to anyone who loves authentic Indian cuisine, specially the Biriyani. Serving Old Monk Rum with ThumbsUp adds couple of feathers in their cap. Good food but people with allergies beware as they struggle to cater for this. I would go back again! The service was very bad we got our food after 1 hour wait.. the food was too spicy & no warnings.. we ordered drinks but didn’t get all our order we mentioned that there is missing drinks but no one is listening. We were veryy verryy verrrryyy disappointment with the service: never again. Oh yeah & there is no AC & its in the basement area, not fun at all. The restaurant is under staffed, service is poor and we were overcharged by the restaurant! only noticed the next day. would not go there again! Amazing starters and the biryani stole the show (we had lamb), service was excellent - really friendly. Will 100% be coming back soon! Great find- amazing flavours. Small place with friendly service and good value. Very nice food. Also love that we were put in a private cosy room so it was basically private dinning. Only warning is that the restaurant does not have air conditioning/ it wasn't on. I was cool enough but my friends were a tad hot. Everyone was very pleased with food though and would return. Our go to place for authentic Indian biryani. The menu is limited but all items are excellent. Perfect for a catch-up with friends. The restaurant is small but cosy with 2 private group seating areas that are great for conversations. The Biryanis was suppose to be the star dish and it was a massive disappointment, dry, lacking flavour and very skimpy on the filling. Shame all round really, very friendly and happy service but food just not up to scratch. 2nd visit to this wonderful gem in the heart of the West End! Very attentive service, amazing food and very reasonably priced. Requested the vault dining and they were more than happy to oblige. Will definitely return! The food is absolutely outstanding. As a group of 8, we got a separate cubby hole to ourselves where we could talk as loudly as we wanted. The cocktails were fantastic. The biryanis some of the best I have had at a restaurant in London. The snacks were also great. Service staff didn't seem very aware of the menu and lots of time lags between food and drinks coming in to our table. Ordered together, but delivered with large intervals. When I ordered a particular brand of single malt at the bar, I was told that was the last they had of that brand, but when he came to the table to take the order, the server insisted they had another bottle. Took him 20 minutes to return and admit that they didn't. The staff just needs a bit more training to get comfortable with the menu. Fortunately we were a group of Indians, who didn't need the menu to be explained or clarified, nor did we get confused when they announced the wrong names of the dishes when they arrived. Booked DUM Biriyani on basis of location and reviews. Was not disappointed. Went with some Indian friends who verified authenticity and were amused by the various in-jokes on the drinks menu. Menu is short but all items sampled were good - we were recommended 2 biriyani between 3 people, and that was probably about right. Nice laid back vibe and the staff weren't fussed when I turned up with 7 people instead of 12 due to last minute drop outs. Tasty food, which everyone enjoyed. Would go again. Very good restaurant would love to come again. FANTASTIC! I booked DUM for a birthday dinner with friends and it was perfect! We were seated in a private cave / booth which worked well for us as we had our own private room. The food was delicious from start to finish - spiced perfectly, as were the drinks and the waiters were very attentive. The atmosphere was very relaxed and we were not made to feel rushed at all. A really great place for special occasions as well as a quick midweek dinner! I was very excited about getting some authentic biriyani before our night out but I have to say dum biriyani left me disappointed and regretting not going to the good places I know. Whilst the little cave like seating areas may sound nice, it was very small and cramped for 9 of us, it also smelt stale. The food was OK at best, the spices used were not the best unless you enjoy floral spices. Also the food was far too spicy. Another thing they don't tell you, there is pastry on top of the biriyani so be careful if you have allergies like ceoliac. 7 of us went down tonight and we were given our own area which was great. The service was outstanding and the food was amazing. This is definitely a place I will be returning. We were a group of 6 friends and had a lovely dinner here. The starters were amazing so were the specials. Friendly service and was packed to the hilt. Exceptional food, been many times, service was not good which was a surprise. Great food but service and the heat (temperature) of the food were a little off putting. Good food but the tiny plates were annoying after a while. As usual good food in a friendly atmosphere, Not for a quiet date but great for informal get togethers, Interesting cocktails! A fun get together with friends we sat in a little arched corner which was cosy but a little difficult to get the staff attention. Good Biryani and good ambience, attention to detail for service. Good concept restaurant. Only the khubani dessert we didn't like - but I guess that's personal taste.